Dontari Poe’s biggest negative coming out of college was that lack of production that did not match his incredible combine numbers. 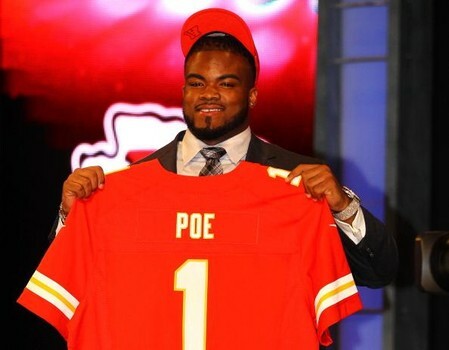 However, there has not been any knock on Poe since entering the NFL. Widely considered the best 3-4 Nose Tackle in the NFL, Poe has not only been dominant but consistently on the field. At 345-pounds, Poe led all defensive players in percentage of snaps played with 95% this past year. An incredible feat for a man his size who is double and sometimes triple teamed in the Chiefs 3-4 scheme. His production has definitely justified the Chiefs high selection of Poe, as he looks to be the anchor of this defense for years to come. Jeff Allen has been a consistent piece in the revolving offensive line of the Chiefs. 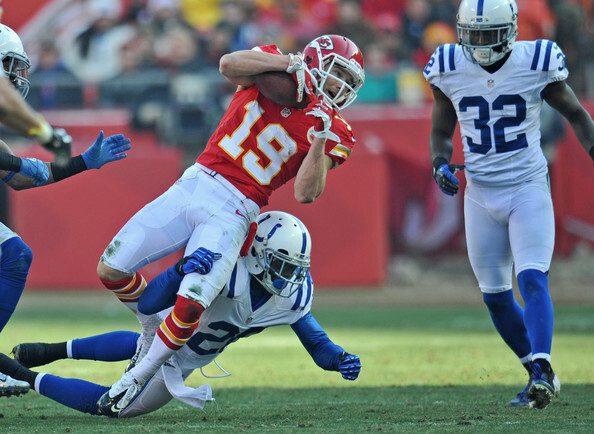 Allen has displayed his versatility since becoming a member of the Chiefs. Originally drafted as a OT, the third-year offensive linemen has played in 31 games (27 starts) at the left guard position. He did miss a lot of the season last year with a a torn bicep tendon but looks to be healthy and start at guard. The Kansas City native has given a surprise amount for production in his three years with the Chiefs. He has done well in his limited starting action, but looks to take on a full starting role at left tackle. The belief in Stephenson’s ability to be a solid starter is evident in the Chiefs allowing former LT Branden Albert to walk away in free agency in 2014. This will be a big year for Stephenson as the job seems to be his to lose. Devon Wylie never flourished with the Chiefs but was not really expected to make a big impact. With a lot of other needs at the time, many questioned this selection. However, Wylie did appear in six games his rookie year, catching 6 passes for 53 yards along with occasionally being used as a kickoff and punt returner. Wylie has been a league journey man and is currently a free agent. Menzie unfortunately never played for the Chiefs and is currently retired. Menzie is just another Alabama defensive player who may have been a product of a quality system under Nick Saban. Like many other seventh round picks, Long has had a tough time sticking with a team. Long was cut by the Chiefs and then claimed off the practice squad by the Jacksonville Jaguars. 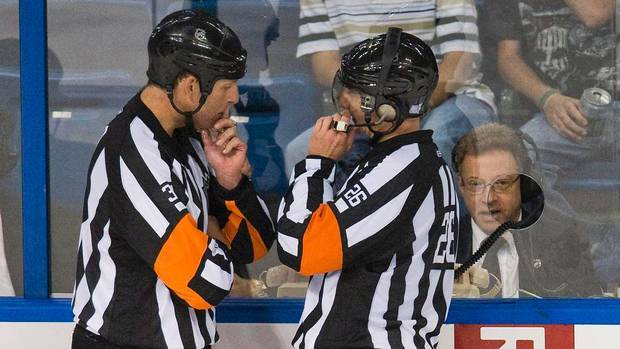 He is currently a free agent. Junior Hemingway is quite a surprise and even a paradox in the NFL. As a second to last pick int the draft, Hemingway has seen action and even provided a little production at the WR spot. Hemingway has two touchdown receptions to go along with 233 yards on 25 receptions. Hemingway will be a backup again but he has proven to be reliable when counted upon. Poe could even be considered the biggest surprise in the draft. A lot of people who prefer film over combine stats had more negatives than positives to say about Poe’s game at Memphis. However since coming to Kansas City, Poe has been nothing but dominant and will continue to be a staple in the Chiefs defense. For a 4th round pick, you would expect a little bit more production from Wylie but in his defense he was drafted higher than his value. Not much expected from the seventh round pick, but Hemingway has been productive in his limited role with the Chiefs. This entry was posted in Football, Home, Midwest, National, National Football and tagged Andy Reid, Dontari Poe, Jeff Allen, Kansas City Chiefs. What to do you do when you have a dominating defensive line? 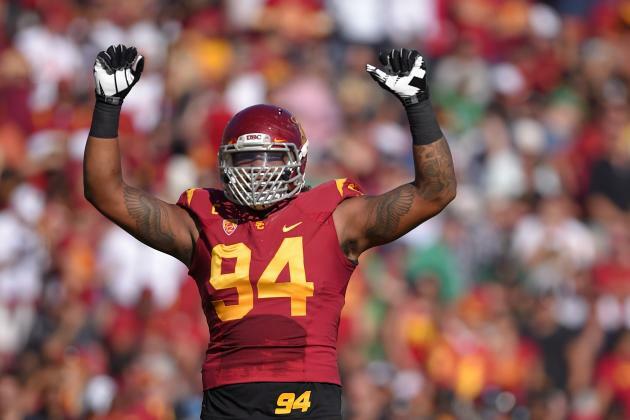 The Jets draft what some consider the best defensive player in the draft in DT Leonard Williams. The Jets are building one of the best defensive units because of their strong D-line. Williams brings exceptional power and athleticism. He should end his career with several Pro Bowl selections and should follow in the same footsteps as Kevin Williams or teammate Sheldon Richardson. The Jets were also able to add weapons for quarterback Geno Smith when Ohio State wide out Devin Smith came off the board. Smith’s ability to track the deep ball while it is in the air is outstanding. He has a 4.4 forty time so he will be able to take the top off the defense. The addition of Smith can help relieve the pressure on Eric Decker. The Jets have to hope Decker’s production can increase and meet the monetary value on his contract. As long as the Jets are able to keep quarterback Bryce Petty on the bench for the near future, he will be able to develop and be a success for being drafted in the fourth round. The Bengals saw a crucial need for lineman and were able to address this with two athletic tackles. First is tackle Cedric Oghuehi from Texas A&M who was selected 21st overall. Fellow tackle Jake Fisher will be able to use his exceptional quickness to keep faster edge rushers from hurrying Andy Dalton. Speaking of Andy Dalton, he now has the protect and he has the offensive pieces to finally break out. If he can’t this season, Dalton will prove he is unable to lead a team deep in the playoffs. My favorite pick for the Bengals was Paul Dawson. This headache of a player causes the brain to hurt of his opponents with crushing hits and his coaches for constantly showing up late for meeting or busses. The last name to remember is Jermaine Gresham’s replacement at tight end. TE Tyler Kroft has drawn comparisons to Travis Kelce because of the way he attacks the ball in the air. General manager Ryan Pace fell in love with Kevin White because of his size and speed. White is great at high pointing the ball which makes him a valuable option in the red zone across from Alshon Jeffery. While he lacks the polish that Amari Cooper has, White has exceptional speed that he showed while running a 4.35 forty at the combine. The Bears were also able to solidify a strong defensive tackle in the second round by selecting NT Eddie Goldman. This was a massive need for the Bears because they have not been able to stop the run up the middle. A common concern surrounding the Bears is the need for a replacement for Matt Forte. When the Bears selected Jeremy Langford from Indiana they knew they solidified a backup running back for 2015. Langford is similar to Forte with his ability to catch the ball out of the backfield. While I may be one of the few with the Rams as major winners in the draft I stand strongly by this opinion. The Rams were able to walk away from the draft with a smile because they selected their number one prospect in running back Todd Gurley. The Georgia back gives the Rams something Jeff Fisher has been searching for since he arrived in 2012. He is elusive and powerful with every step he takes. The only problem is he can only step with one foot right now because he tore his ACL on November 15th. 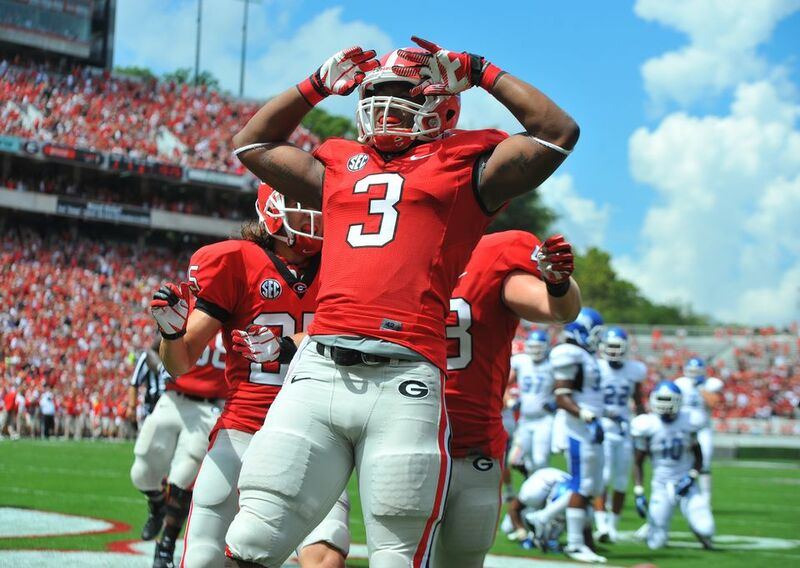 The stat that stands out most when looking over Gurley’s numbers from Georgia is that he averaged 7.4 yards per carry. Having Gurley as the featured back helps newly acquired Nick Foles by allowing the offense to be run heavy while Foles becomes comfortable with the offense. Furthermore, to ensure the running game will be dominant, Fisher found himself a major mauler in offensive tackle Rob Havenstein from Wisconsin. Havenstein stands in at 6’7″ 320 pounds. Although the main reason I love the pick is because he can dominate in the running game, he also posses the leadership the offensive line will need because they have such little game experience. The Rams addressed the offensive line with 4 selections out of 9. Jeff Fisher took a gamble by selecting quarterback Sean Mannion with the 89th pick overall. The signal caller from Oregon State wowed scouts during the workouts before the draft. Several scouts said he threw better than Marcus Mariota when they made their way through Oregon. While I am not in any way saying Mannion is better than Mariota but he has gained confidence late in his career. He will have time to develop behind Foles. The Rams must rely on their coaching to help ensure the offensive line can create a pocket for Foles on a consistent basis. This entry was posted in Uncategorized and tagged Leonard Williams, NFl Draft, Paul Dawson, St. Louis Rams, Todd Gurley. This was clearly a must for the Chiefs on the second day of the draft. Andy Reid saw glaring holes on the offensive line and at wideout. 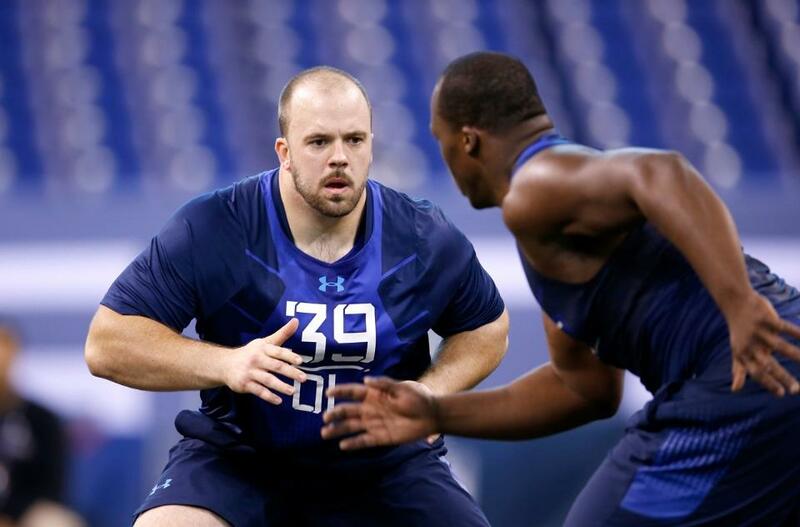 With the 49th pick the Chiefs selected offensive tackle Mitch Morse from Missouri. Morse stands at a tall 6’5″ 305 pounds. He can play several positions across the line. He has the ability to play center, guard, or tackle. All three positions are spots of need for the Chiefs. Morse is a smart, savvy, nasty blocker who projects best inside due to his short arms. He stood out at LT, RT and center vs. the SEC. The Chiefs will ask Morse to move to guard in hopes he can be ready to start in 2015. Morse relied on timing, instincts and angles to get guys blocked as a tackle at the college level but does lack the arm length and functional athleticism to play tackle in the pros. If he moves inside to guard, his toughness will serve him well. Morse is not a mauler type of blocker because he does not have the strength. He is not a power player and must prove that he can sustain his block and positioning to be an effective run blocker. Teams were heating up on Morse the closer it got to draft day and some see him as one of the top transitional center prospects in the draft because of his intelligence. Reasoning… Again, filled a major need but I was hoping they would fill their need at receiver here once Jaelen Strong began to slip. Teams must have been scared off more than I realized about Strong’s wrist injury and how he handled it. When the third round started the I was hoping to see Jaelen Strong or Tyler Lockett available for the Chiefs but both were selected before the Chiefs selected. When these two wide receivers were off the board, John Dorsey saw an opportunity to trade up to 76 to select Georgia wide receiver Chris Conley. The trade sent the Chiefs 80th pick and their 6th round pick to the Minnesota Vikings. In 2014 Conley had 36 receptions for 657 yards and 8 touchdowns. 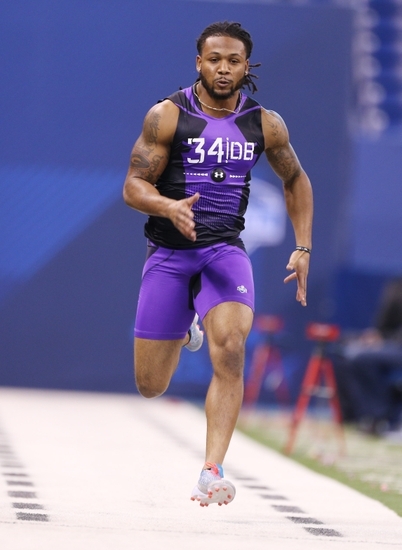 A question that needs to be answered with Conley is if he is a sprinter or a football player. Corners have great success playing bump and cover defense against Conley because he struggles to get off the line cleanly. During the combine Conley was able to boost his stock with a great 40 yard dash, bench press, and board jump.While he struggles to get off the line, he dominates with a cushion off the line, and cornerbacks will demand help over the top when facing him in man coverage. He has long arms (33 ¾”) and uses his hands to get the ball out of the air. Unlike some receivers in this class, he is able to catch the ball consistently with his hands instead of letting it reach his body. In the end I really wanted the Chiefs to go in a different direction to fill their need at receiver. I would have preferred Sammy Coates from Auburn or my favorite sleeper receiver Justin Hardy from Eastern Carolina. The selection of a wideout was the correct pick just not the right player in my opinion. Only time will tell with Conley but the Chiefs need someone to step in day one and I feel Coates and Hardy could have done that. The Chiefs had a second pick in the third round when they selected cornerback Steven Nelson from Oregon State with the 98th pick. Nelson was a second team All-Pac 12 performer in 2015. The Chiefs want to stock pile their secondary this year because of how the NFL is being played. With the game moving closer and closer to a passing league, the Chiefs have focused on getting players that can get to the quarterback and corners that can create turnovers. I am very disappointed that the Chiefs did not fill their need at MLB with Paul Dawson. 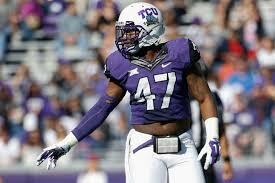 The TCU standout was selected by the Bengals the pick after the Chiefs. Kansas City needs a linebacker to play along with Derrick Johnson in the middle. The Chiefs loved Nelson’s style of play because of the same reasons Andy Reid loved Marcus Peters. Both cornerbacks play with a competitive and confident edge. When on the field, Nelson views himself as the best player on every snap. It appears that Nelson is essentially a poor man’s Marcus Peters. Along with the same mentality, both players use their hands too much with receivers that draws too many penalties. Nelson does not have a second gear that is needed to cover faster receivers in the NFL. Also, at 5’10” offensive coordinators will target Nelson in the end zone with taller receivers. It is hard to hit a home run in the later rounds but the Chiefs were still able to fill a need with another young corner that can cover exceptionally in man coverage. 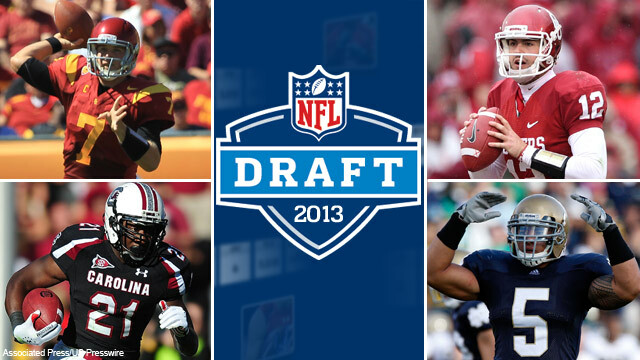 I would have given the Chiefs an A if they selected linebacker Phil Dawson or wideout Justin Hardy. Remember these two players as great late round selection for their teams. This entry was posted in Football, Football, Home, Midwest, National and tagged Andy Reid, Chris Conley, Kansas City Chiefs, Mitch Morse. Want an employee that has failed a drug test, had academic problems, shows up late to meetings, and being dismissed from his previous team? This is the off the field resume of Washington cornerback Marcus Peters. The Kansas City Chiefs drafted Peters with the 18th pick. The Chiefs hope this baggage does not come back to haunt them. Peters, who many would have considered a top 10 pick if not for these issues must have wowed head coach Andy Reid and GM John Dorsey during his interviews. Too be honest, I trust Andy Reid. The Chiefs definitely did their background checks and see Peters as someone that can be productive without causing problems. The alarming aspect to his rap sheet in my eyes is the problems he had with the coaching staff and other Washington teammates. These off the field antics had Peters completely removed from several teams draft board but all it takes is one team to see past his issues to make his dream of playing in the NFL come true. 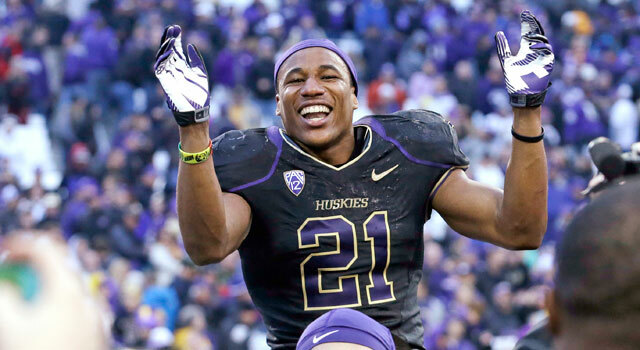 In 34 games for UW, Peters had 11 interceptions and 129 tackles. The cornerback allowed just 38.1 percent of the passes against him to be completed. Peters was elected to the second-team All-Pac-12 in 2013.Peters has truly prototype size for the position. He competes hard during his battles in press-man coverage and tries to intimidate receivers with his physicality. He will be active and disruptive when ball is in the air and although this may draw penalties, the Chiefs want Peters to keep his competitive edge. He is at his best when contesting catches and often times comes away the winner on 50/50 throws. Unlike other corners in this years draft, Marcus is able to step up and make open field tackles against stronger running backs. The biggest weakness in his game is the fact that he gets grabs receivers off the line when he is beaten which will draw flags from officials in the NFL. There have been several fitting comparisons for Marcus Peters such as Jason McCourty, but I feel he has the potential to have a similar, if not better career than Aqib Talib. Overall I would rate the Chiefs pick as a B. The reasoning behind this pick is because it filled a need with exceptional talent. I am scared away from calling it an A because of his past but the pick has the boom or bust feeling. During the next two rounds the Chiefs have to address their glaring issue at wide receiver. I hope John Dorsey has some type of plan to draft WR Jaelen Strong out of Arizona State because he fits perfectly with what the Chiefs try to do in the passing game. Strong would come in and be a younger and better Dwayne Bowe. NFL.com has Bowe as their NFL player comparison for Jaelen Strong because both guys use their body to shield the ball from the defender. 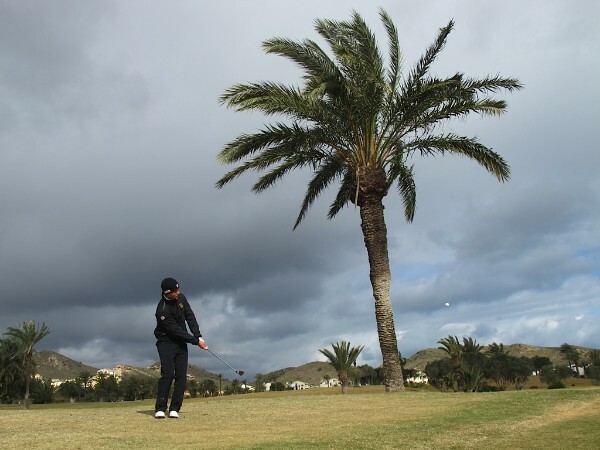 Neither player creates great separation but both win 50-50 balls. If the Chiefs can not land Strong, I hope they aim to cover their holes of linebacker and center. For linebacker I desire Phil Dawson because of the tenacity he would bring to the Chiefs. Like Derrick Johnson, Dawson has a nose for the ball but can find himself being caught cheating in play action. This entry was posted in Football, Football, Home, Midwest, National, Uncategorized and tagged Andy Reid, Kansas City Chiefs, Marcus Peters, NFl Draft. To be honest, I really could not tell you, but I do know that this year was one of the more tragic in recent memory. From the devastation caused by hurricane Sandy, to the bloody civil unrest occurring in Syrira, to the families suffering from the tragedies that occurred in the communities of Aurora and Newtown, this has been a year where hope seemed absent in the midst of great sorrow. On this website you see us writing about our idols in sports, athletes who inspire and awe us as sports fans. We call them heroes and give them all the adoration in the world. I decided this week to go in a different direction. There are heroes that inspire off the field. There are people with unimaginable courage and strength that we cannot begin to fathom. There are everyday people who inspire and amaze us, and in a year with so much tragedy, they are the heroes this country and this world need most. Here are the Real Heroes of 2012. In Pakistan, Malala Yousafzi has been fighting for the past 4 years for girl’s rights to education in her own country, and in doing so has brought education and women’s rights into the global spotlight. She began speaking out through anonymous blog posts published by the BBC and eventually grew into an open education activist worldwide. She has done all of this at the risk of her own life. On October 9th Malala was shot in the head in a Taliban assassination attempt on her life. 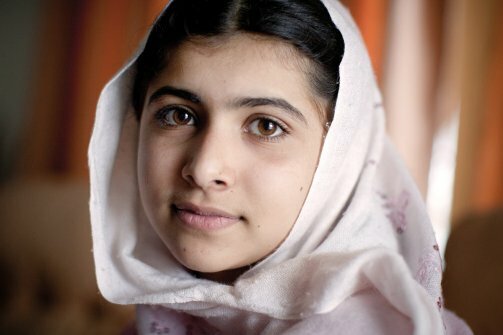 Malala survived, and as a result of her bravery, former British Prime Minister and current UN Special Envoy for Global Education Gordon Brown launched a United Nations petition in her name, using the slogan “I am Malala” and demanding that all children worldwide be in school by the end of 2015. Malala’s hard work and courage made her this year’s runner-up for the Time “Person of the Year”. Perhaps more significant, her work brought women’s rights and education to the forefront on a global scale and become a powerful symbol of resistance at the Taliban’s attempt to limit women’s rights. That is a lot to do in a lifetime, let alone do before your 16th birthday. 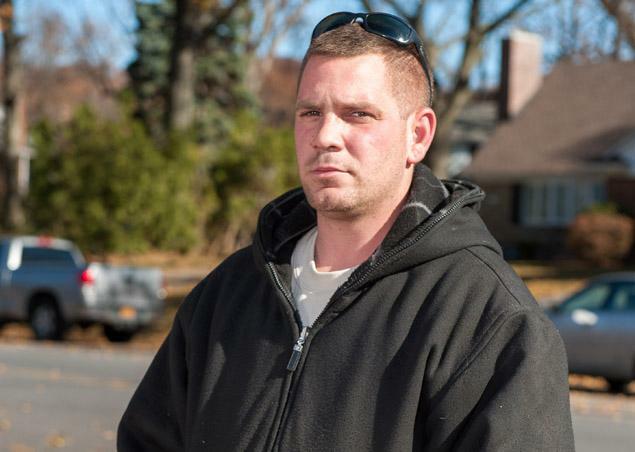 Peter Vadola, a 28 year-old local truck driver and Staten Island resident, rescued nearly 200 of his fellow residents from flooding as a result of Hurricane Sandy. It all began when Vedola ventured out the morning following the storm to see that damage that had been done to his new home, the home he purchased to begin his new life with his pregnant wife. While checking out the damage he received a frantic call from his friend, Danny, who was trapped in his attic with his wife and three kids. He had called 911 and still no one had come for help. Vadola said he would do what he could to help them. As if by way of a miracle, a motorboat, which had been ripped loose from the storm, floated his way and Vadola sprung into action. After rescuing Danny and his family, Vadola continued to race through the streets of Staten Island picking up as many people as he could and taking them up to Lincoln Avenue where the fire department was providing warm blankets and care to the displaced families. Days after Vadola’s brilliant heroics on November 8th, his wife gave birth to his first child and son, Justin Peter Vadola. 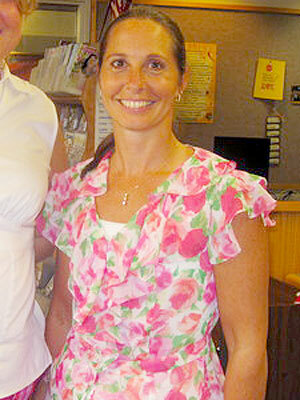 One of the victims of the tragic Sandy Hook Elementary shooting was their principal Dawn Hochsprung. Hochsprung first heard the sound of gunfire then ran to protect her students by attempting to take down shooter Adam Lanza. As a result, Hochsprung lost her life, a life she devoted to students as an educator. Fellow family members, teachers, and friends hailed Hochsprung as a selfless educator, an educator that has now inspired many around the country and the world with her act of bravery. It’s clear the world needs more mothers, educators, friends and heroes like Dawn Hochsprung. Jake Wood, a former US Marine and Iraq War veteran, first began reaching out to those in need after the massive earthquake that left Haiti devastated in 2010. In just 3 weeks Wood was able to assemble over 60 volunteers, many of them veterans themselves, to aid in relief efforts in Haiti. 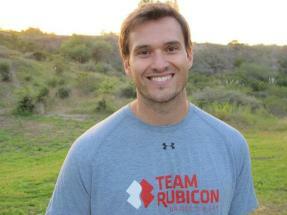 They called themselves Team Rubicon, in reference to the phrase “crossing the Rubicon” meaning passing the point of no return. The name proved appropriate, as Wood has not looked back since his time spent helping in Haiti and has continued to help around the world through his non-profit organization. In the past two years the organization has grown to almost 1,400 members, about 80% of them being military veterans. 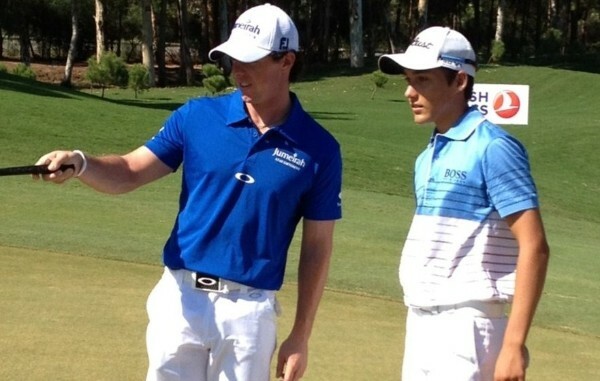 They have aided in relief efforts all over the world ranging from Chile to Joplin, Missouri. Wood believes that giving veterans a chance to give back is crucial, as it allows them to continue to serve after their duty term is up. Pushpa Basnet, a native of Nepal and CNN’s 2012 Hero of the year, is no ordinary 28 year old, at least not by Nepal’s standards. Nepal is currently one of the world’s poorest countries with over 55% of the population living below the international poverty line. Basnet, however, was born under more fortunate circumstances, coming from a family with a successful business and steady flow of income while she was growing up. At 21 years old she discovered her calling while she was studying social work in college. She visited a women’s prison and was taken back by the poor living conditions and the fact there were children living in the prisons as well. Because of Nepal’s high poverty rate, it lacks the type of social safety nets we enjoy here in the US and in other Western Nations. As a result, space is severely limited in the government run children’s homes. So when an individual is incarcerated and no other legal guardian is available, the parent has the choice to either bring their child to prison or let them fend for themselves on the streets of Nepal. Basnet simply could not stand for this, and in 2005 she began to provide care for the children of incarcerated parents. She got friends to donate money and began renting out a building to house the children. Her care center has grown from housing 5 students to now housing over 40 and she has assisted over 100 children since she began 7 years ago. She also runs a daycare for children under 6 along with her residential program. She ensures that the children maintain relationships with their imprisoned parents as well by planning trips to visit the prisons over holidays. 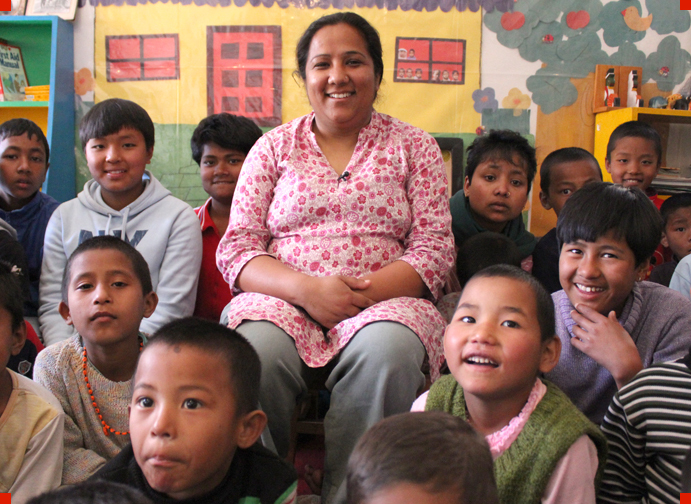 Still, Basnet strives to do more as she is eager to find more ways to give these children a better future. So amidst this despair and sorrow, we can find solace in believing that there is so much overwhelming goodness in the hearts of so many people in the world today. Let’s remember those who were lost to tragedy in 2012 and let’s make 2013 deserving of their memory. Happy New Year everyone. This entry was posted in Home, Midwest, National and tagged Heros, Tommy Randolph. This entry was posted in Baseball, Midwest, Uncategorized. This entry was posted in Baseball, National, Uncategorized.